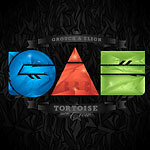 Triple disc wallet includes three all-new albums: a Grouch solo album, an Eligh solo album, and a G&E album, the first since 2009's ''Say G&E!'' Features from Slightly Stoopid, Kreayshawn, Zion I, Blu, Pigeon John and more. Straight classic y'all! This has got to be their best to date which is awesome because these two just keep aging like a fine wine! After I heard the first disc from The Grouch I was already feeling enlightened, ready to party and ready to call this album a classic. There are too many dope bangers from the sentimental track ''Corey's Angels'' to the amazing lyrical head nodders like ''Akfam'' ft. Blu. Do I even have to say more? Buy it! Production from Pretty Lights, Ant (of Atmosphere), Amp Live, Alexander Spit, Exile, DJ Fresh and more.